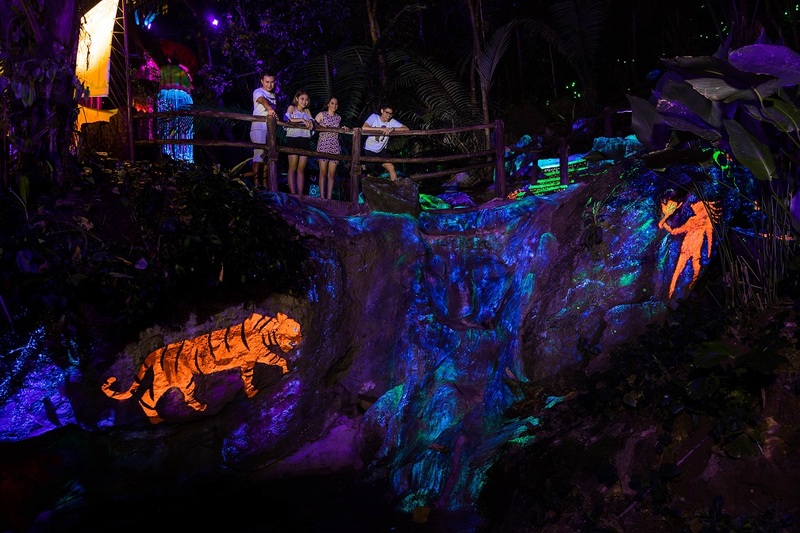 One of the latest attractions at Lost World of Tambun is the Luminous Forest, where you can explore a magical wonderland when night falls . The Luminous Forest is located near Lost World Petting Zoo (after Giraffe & Friends) and is opened daily from 8pm to 10pm. Home to the Malayana family, you will encounter Mother Sophea, the 400-year old willow-like tree dubbed The Tree of Life, a 16-feet long centipede that shies away from the eyes of visitors, flowers in all sizes and shapes as well as exotic species of insects and animals lurking in the bioluminescent forest. Definitely worth a visit during your trip at LWOT! Mother Sophea: This ancient tree has been around for 400 million years, spreading her magical seeds to illuminate this forest. 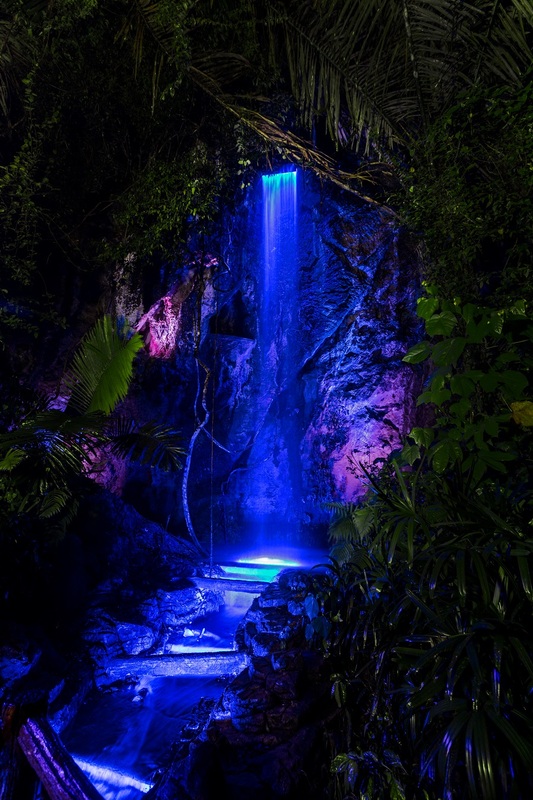 Laka Falls: The source of water for the tribe and its luminous substance is used by Makalani in making her healing elixir and emanates an alluring glow to the plants. Shadowfang: The protector of the forest . Known to spit deadly venom to those who tries to harm this forest. Preys on the evil when the darkness falls. Giant butterfly: Pollinates the flowers by spreading pollen all over the Garden of Light. 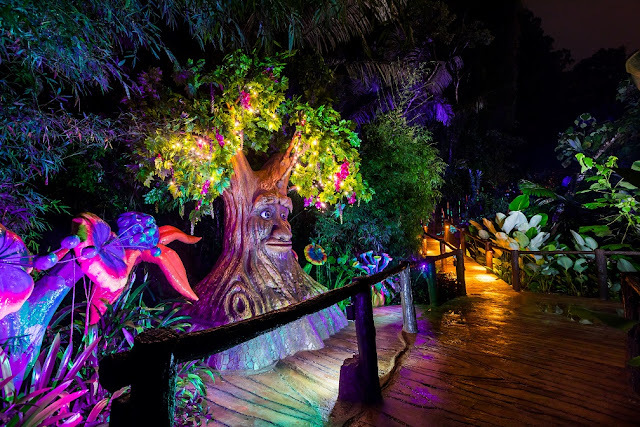 Garden of Light: This mystical garden holds otherworldly plants and creatures in peculiar shape and sizes that illuminates the forest in darkness. Lights of Aiyana: These unique-looking flowers are the offsprings of Mother Sophea, enlightening those who sit beneath it with positive energy. 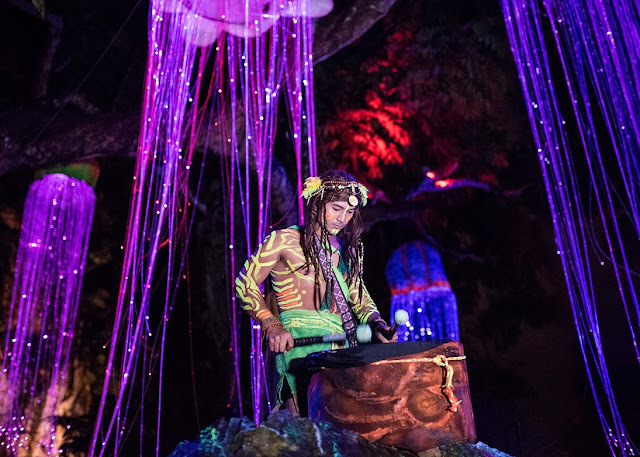 My favorite feature of the Luminous Forest... they're so pretty! All hail King Daniel, sitting on the Malayana throne. At the Wapi Springs, you can toss an illumanated pebble in the magical stream and make a wish. The journey through the Luminous Forest will take approximately 10-20 minutes and you will exit near Dulang Tea House (Lost World Tin Valley). 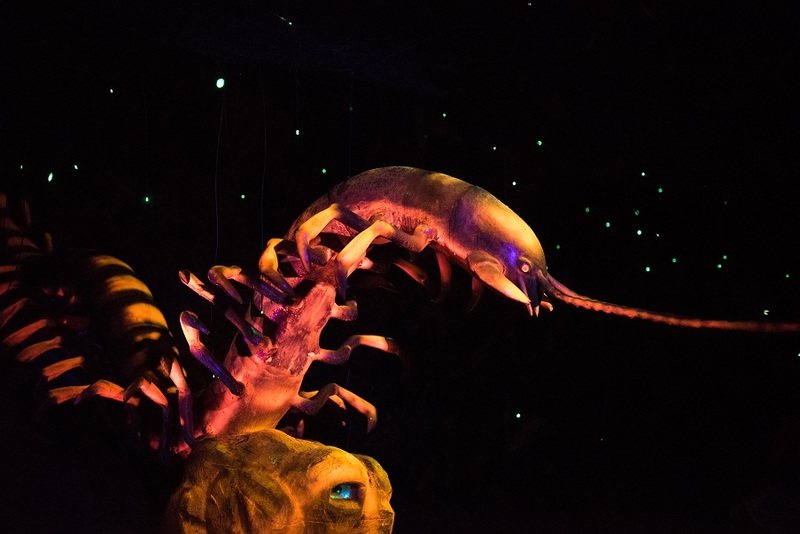 Here, you can hop on the night safari bus which will bring you back to Lost World Petting Zoo. 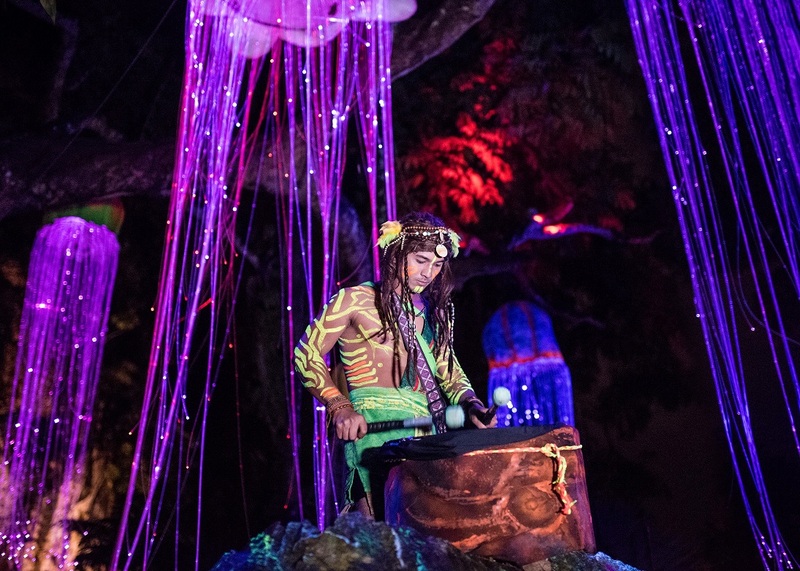 Lost World Hot Springs Night Park is open daily from 6pm to 11pm.